If you are a fan of Card Captor Sakura, then you might have come across the works of Wish-chan. 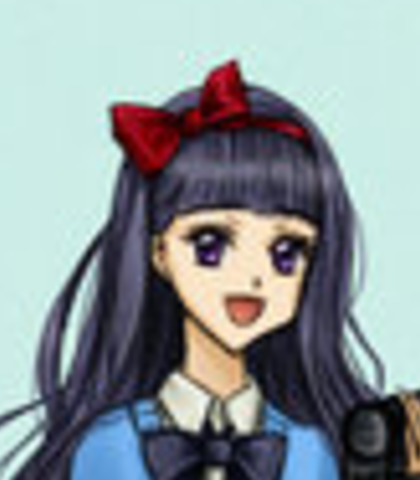 With her permission we shall be creating an audio book for her fanfiction series The New Trials of Card Captor Sakura. 4) Be patient and you'll have a great product in no time. There are plenty of roles, and many more to come. If you don't get casted I might DM you and ask you to do a different role. Please share this project around so that we can get started as soon as possible. Thank you. Will Narrate the chronicles of Sakura's trials. Go to the webite and read at least two paragraphs. the chosen one of the Li lan from Hong Kong; Sakura's former rival and now a partner in fighting against the dark forces; uses the power of the moon. I had a dream of what is to come, an unimaginable evil, and I vowed I would return. They have origins deeper than any of us understand, yet working together, we can prevent destruction. Sakura's best friend and cousin; Provides Sakura her battle costumes and films all of her battles. Wow, you made another card? Too bad I couldn't videotape it. See, it's too stormy to have a big ribbon. and the cloak is made out of waterproof material, and you can protect your head with the hood. The color matches with your staff. 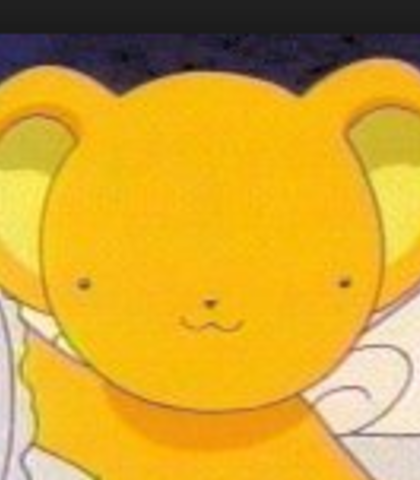 Look, even Kero-chan has a matching cloak. Ohhh! I'm so glad that I can do so many hairstyles on you now! Age 22; Sakura's older brother; pre-med student at Seijou University--majored in Neuroscience; has clairvoyance. Don't play innocent. I know better than you think. What were you doing last night and as for a matter of fact, tonight, as well. You didn't even trust me about the Clow Cards business. At least I figured it out myself. There's a new danger, isn't there? Something related to mother? Just tell me if you need any help, kaijou. I am still your older brother. Mother trusts me to protect you. Age 22; Sakura's first crush; Touya's best friend; pre-med student at Seijou University; counterpart is Yue. Touya stop messing with your sister. Your sister complex is showing. You know, she's growing up. she's going to be out of your reach at some point. Eron's twin, fellow "Dark One"; sends out dark forces to attack Sakura. But we are stronger! We still have more elementals to send out to her. So many more powerful ones. What fun it will be to break her. Guardian of the clow, uses the power of the sun. This is his small cutsie form. This is getting more serious than I thought. These new enemis... they are deadly. 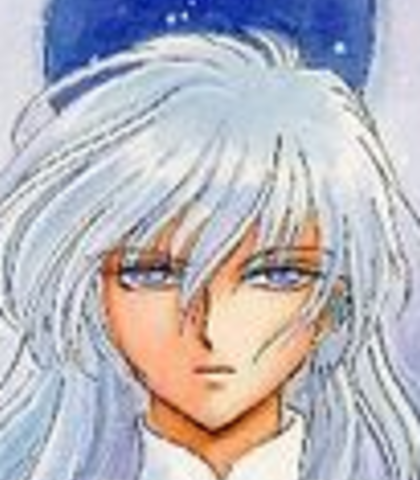 I think I heard Clow Reed mention something about, two people, one man and one woman... I forgot their names. Wait! We have hit on valuable information, though there are only bits and pieces of it. No, it is my pleasure. Please call me Eron. What is your name? Sakura... You are as beautiful as the flower you are named after. Patience, my sister, patience. The Knife was sent a a trial, to test the flower's skills. Who knew that she would turn it into a card? Pretty impressive. She has more powers then we estimated. We shouldn't look down on her. The little Wolf has arrived, also. He makes things a little more complicated, but I was looking forward to meeting him. Life's getting moree interesting already. Yes, it is just the beginning. Our Card Mistress could never let us down. She's that good. 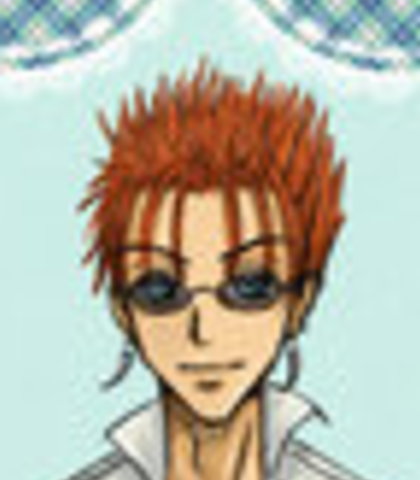 Syaoran's cousin and former fiancee; specializes in martial arts. She has no magic. Maybe I can win Syaoran back. Yet, do I really want to? In any instance, I can't do much staying here, anyway. Sakura! Whose sweater is that? You mean she spent the night there? 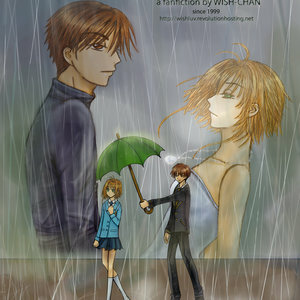 Syaoran... you know whatever it is, I'll help you. You can ask me to look through the books. You can always depend on me okay? 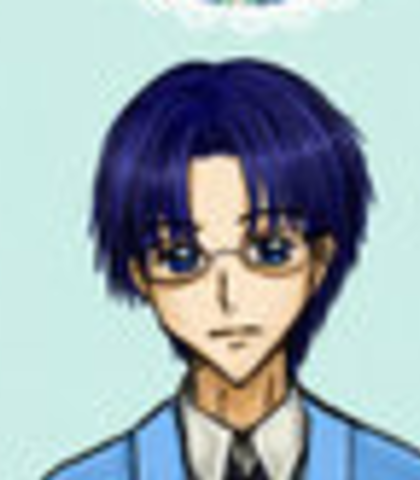 Sakura's father; Professer of archeology at Seijou University. Touya, try to be a little nicer to your sister. I won't be home for dinner so I leave that to you Sakura. Counter part to Yukito; guardian of the Clow with Cerberous. You must be prepared for anything to happen. I don't know where my other form will be if you are ever in need of my help, so you must be prepared. I can't believe that you're the same Sakura as the one in the video. I thought you'd be prettier. Huh? I guess I was wrong. You don't get what it's like to be left all alone. You have everything. And you don't even know it. Of course, if I find amusment in it, I won't stop it. I have no need to interfear. Everything will be just fine. Have some faith in the card mistress. It could actually be fatal if not done right. We don't know how this will affect her afterwards. It's possible nothing will happen, but it's also possible for the worse to happen. I'm a theif it's what I do. It's called being the best at my craft. Nobody can top me. Aw. But Meilin was being so cute. I couldn't help myself. Come on Sakura, Like I'm going to be a good student. You know, you're going to have to tell him. If you don't you'll only be hurting yourself... And I don't want to see that. 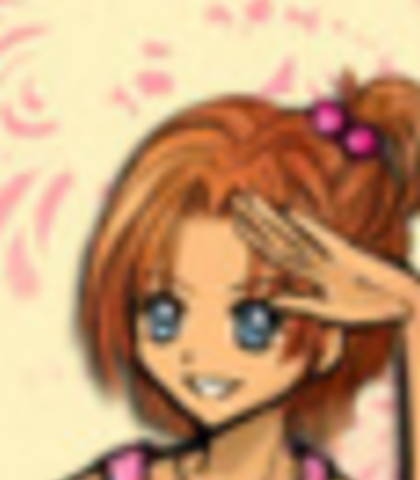 Sakura's close friend, best friend and boyfriend is Yamazaki Takashi. Nope! ou gotta. Now everyone who tells a lie or does anything dishonest will be haunted by the ghost of this mountain. I'll ask first.... Truth or dare? It is fair. She did say it. Syaoran, do you have any clue what she's talking about? Chiharu's boyfriend since kindergarten; teller if fantastical stories. Yes, a great story, it's almost as good as my story od how- Ouch. I have a story of a bad tempered old witch who could not accept the fact of the existence of a genius. What we are doing here will be a very valuable experience. In the ancient tribal days, boys coming of age were sent off to the wilderness with nothing, absolutely nothing to survive for a year. 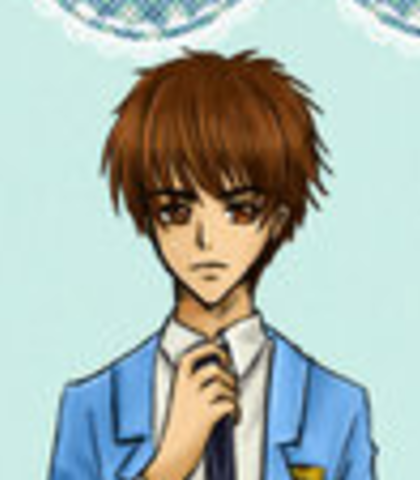 Sakura's close friend; is in love with homeroom teacher Terada Yoshiyuki. Hey your guys, did you hear that Li-kun returned? Don't you know Sakura-chan? Many years ago a class went to the same camping site. Well they started off alright in the beginning, but in the end, one group ended up missing. Hmm... This story has a better effect if it is told in the mountains, at nighttime. Students, we have another new student in our class today. Some of you may remember him from Tomoeda Elementary School. Li Syaron has transferred from his junior high school in Hong Kong to join us here in Seijou High again. Li-kun, you may sit in the empty seat behind Kinomoto Sakura. age 16; Sakura's mother; married her teacher Kinomoto Fujitaka at age 16, passed away at age 27; battled against the dark forces with Li Ryuuren and became Guardian of the Clow Book. I know my magic isn't that strong, but I still play a part in all of this! I know I can do something. I can make a difference. 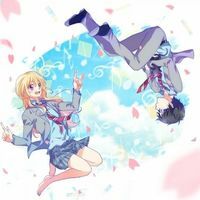 Aren''t they beautiful Ryuuren? You know, if I ever have a daughter I am going to name her Sakura. She'll be beautiful, and definatly not as clumsy as me. Mother of Tanaka Miho and Mikai; Is sick. An artist who had an obsession with painting Nadeshiko and Ryuuren; Head of Technological Department at Kinhoshi Corp.; father of Tanaka Miho and Mikai. Age 16; Ryuuren's classmate; the "Dark One". age 16; Ryouta's sickly twin brother; not much is known about him. 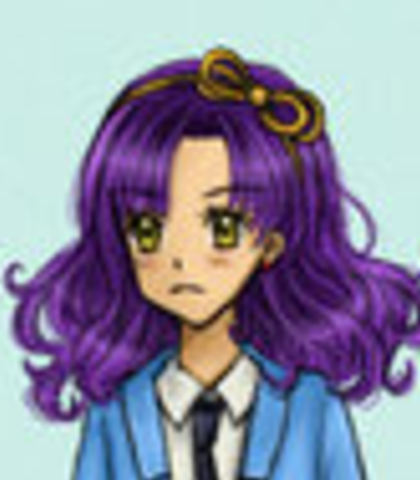 Age 16; Ryouta and Reiji's classmate, Eron and Erika's mother. Age 22; Aki's older sister; Touya's classmate and currently a popular actress--launched her career through winning the Best Couple of Japan Contest with Boyfriend Tanemura Asuma. Age 22; A professional jockey; four-time winner of Japan Cup, most prestigious horse race in Japan; girlfriend is Akagi Arima--former classmate and horse-back riding rival; breeds horses in spare time. Age 21; A New York-based photographer. Father of Mike, owner of a top modeling agency; Photographer who "discovered" Amamiya Nadeshiko. Girl from Class 3-1 who has a crush on Eron; originally from the same orphanage as Eron and Erika. 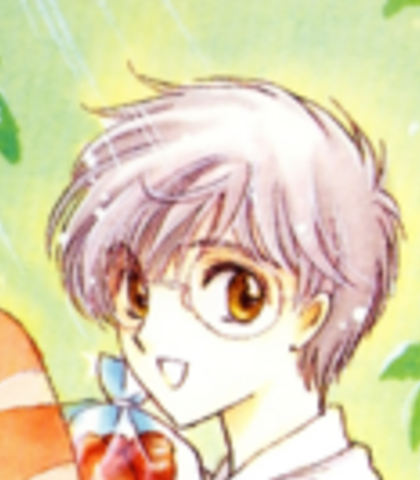 Age 6; An orphan who Sakura and Syaoran once end up babysitting; frequents the hospital because of a brain tumor. christened "Eagle Vega of Lyra" by Syaoran after his favorite star, originally a dark force, the wolf, becomes Syaoran's pet. Kai's pet parrot; changes colors to match Kai's mood or hair color. The King of Wolves; Father of Wolfie-chan. The bunny-mokona-looking guardian of the Five Force Scroll that used to help out Nadeshiko and also occasionally gives Sakura advice. Sakura's Grandfather; CHairman of the Kinhoshi Group. 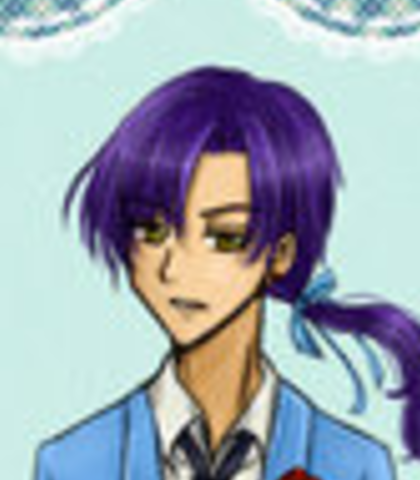 Fujishinta's eldest son; Heir to Kinhoshi Group. Fujitaka's half-sister, daughter of Fujishinta and a maid. Head housekeeper for the Kinomoto household. 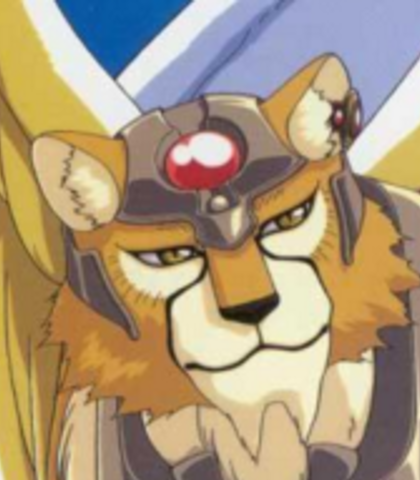 Butler; Syaoran and Meilin's guardian in Japan. Thank you. I'm glad you liked it. You must be tired after spending hours over those dusty books. Tsk tsk. Syaoran shouldn't make a guest work so hard. 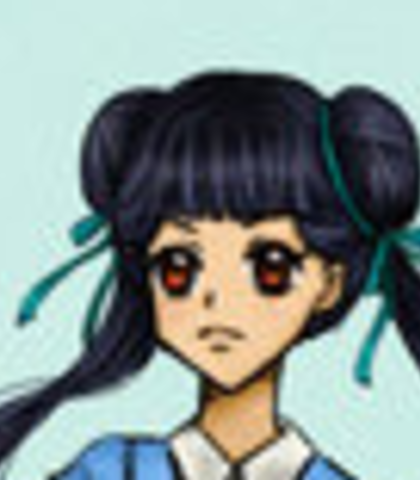 Member of the Inner Council; Syaoran's mother. 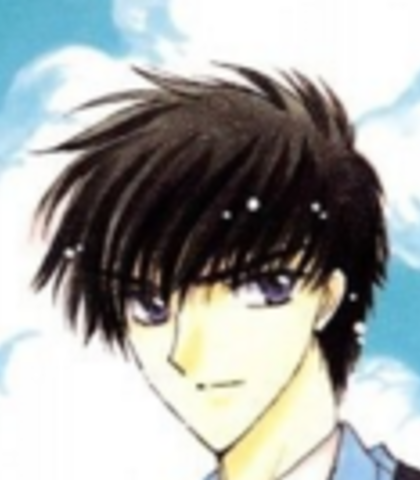 Age 17; Syaoran's Father, three years older than Nadeshiko, Chosen One of the Li Clan with the mission to locate the Clow; eventually hands over the Clow Book to Nadeshiko for safekeeping before returning to Hong Kong. Also appears as a 30-year-old in the series. There's no way you can do this. You're just a weak little girl. Leave while you can. You're useless. Nadeshiko, I lo-... You're not useless you know. At least... At least not to me. I am going to die soon. I will leave arrangments for the two of you to have a new master when the time comes for the Clow Book to resurface. Why don't you leave the snow bunny there and the two of us can go get some ice cream? There's a limit to even his power. You should know that. Anymore and this really will be a battle to the death. Eriol's guardian. This is his Battle/guardian form. If you think about it, they're actually evenly matched. Eriol's guardian; This is his cutsie form. Do I have to be here? these people are giving me a head-ache. At least send Kero back. Sakura's former fifth grade teacher; Touya's ex-girlfriend; uses power of the moon. It's very nice to see you again Sakura. I hope things have been going well for you. How's your family? I hear Touya's studying pre-med. Sakura's classmate; head of journalism club and captain of the basketball team; Akagi Arima's litle brother; a narcissist. I am the most popular kid in the school. I'm the class president, Head of the journalsm club, and captain of the basketball team. oh come on! I can do that ten times better!